Donna's selections are totally different than violets sold elsewhere. 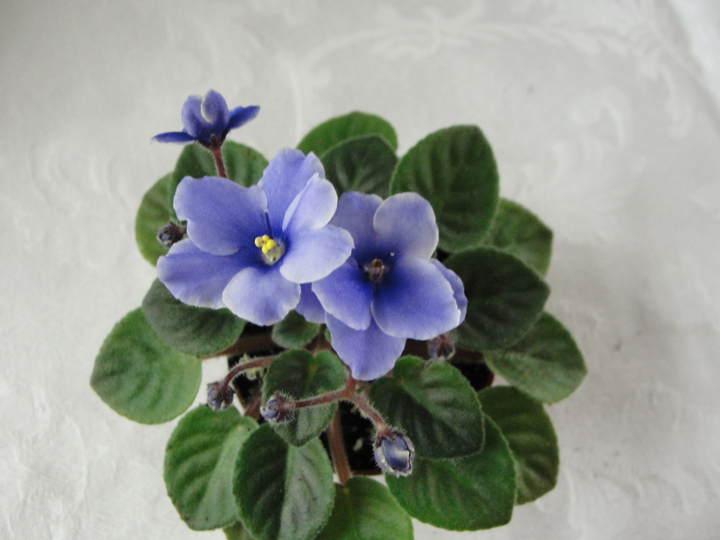 The flowers are a very pretty petite blueish/violet color with small leafs. I was afraid the four (4) different plants ordered would not arrive alive, but two days after ordered they were on my door step fresh and beautiful. She really takes pride in her violets and takes the time to respond to any questions emailed to her. She is very knowledgeable on African violets. Down the road, I will order plants from her before shopping in my area!